Have you lost hope because someone you love suffers from an autoimmune disease? This article is just what you need. Learn what an autoimmune disease is, how to diagnose it and how to cure autoimmune diseases naturally. 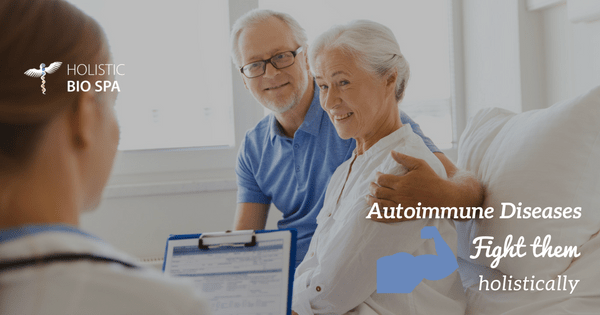 An autoimmune disease is a condition arising from an abnormal immune response to cells, tissues, and organs in the body. There are over 81 types of autoimmune diseases. Almost any body part can be involved. Common symptoms include low-grade fever, myalgia, arthralgia, fatigue, and rashes. These symptoms may wax and wane. Autoimmune diseases usually happen after age 20, with few exceptions, such as Juvenile Rheumatoid Arthritis, which is thought to be caused by an infection from the tick that causes Lyme disease. There are many causes of autoimmune diseases, but your genetics plays a part if you get an autoimmune disease. The human leukocyte antigen (HLA) system or complex is a gene complex located on chromosome 6 which is involved in autoimmune diseases. Mercury, other heavy metals, chemicals, some bacteria, viruses, and molds can change the outside of your cells, so your cells look foreign to your immune system. Then the immune system thinks it’s doing its job in eradicating the foreign invader. Environmental triggers or medical traumas are the other causes of autoimmune diseases. This may be mercury, vaccines, infectious organisms (Lyme disease, Mycoplasma), chemicals, viruses, root canal teeth, etc. 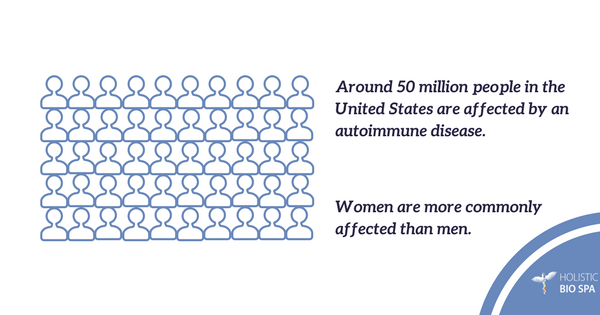 Autoimmune diseases are among the leading causes of death among women in the United States in all age groups up to 65 years. Diagnosing autoimmune diseases can be difficult. The physician must take a detailed life history up to present time. He should ask if there is a family history of thyroid disease and autoimmune diseases. He needs a thorough list of the patient’s symptoms. Blood tests should include a complete chemistry panel including the lipid panel, complete blood count (CBC), urinalysis, ESR, fibrinogen, CRP-HS, complete thyroid hormone panel, thyroid autoantibodies, and an antinuclear antibody test (ANA) with reflex (reflex is when the lab checks for specific tests for the common autoimmune diseases). Physicians should ask the patient if they have or ever had mercury amalgam dental fillings and root canals. The physician should examine the patient’s teeth and gums. The physician needs to zero in which further tests to order if the reflex is negative, but there is still a positive ANA. He needs to find which organ(s) are affected and know which autoimmune disease affects that organ. Eliminate the causes (Lyme disease, mycoplasma, heavy metals, chemicals, root canals, mercury amalgam dental fillings, etc.). Would you like to cure your autoimmune disease with the best natural and holistic methods? Call us to make your appointment? +52 (322) 221 1607 and take care of yourself now. You are still on time! Stop suffering and get treated for an autoimmune disease with alternative methods. Schedule a consultation with our physician Jake Ames, MD, HMD to envision the wonderful results you can get with our holistic treatments. Not currently living in Puerto Vallarta? Share this article with a friend. 4 Responses to "How to Cure Autoimmune Diseases Naturally"
? Que pueden proponer para el lupus ?